Contest is Closed! My friend Alex over at Wholesale Italian Food and I were talking recently and realized it was time to do another contest giveaway. This giveaway is very unique, one of a kind, and directed towards all those who love chocolate. Wholesale Italian Food is donating a 3 kg tub of Nutella as the prize, valued at $45. For all those who love this amazing chocolate hazelnut spread, this prize is for you! This Nutella is imported directly from Italy so is as authentic as it can be. Not familiar with Nutella? (Is that even possible?) Nutella® hazelnut spread was first imported from Italy to the U.S. over 25 years ago by Ferrero U.S.A., Inc. The popularity of Nutella® has grown steadily over the years and it is the number one selling branded hazelnut spread in America. Along with the tub of Nutella, I am also adding one of my new favorite Italian cookbooks written by Tessa Kiros called Recipes and Dreams from an Italian Life. Browsing through one of Tessa Kiros books is like visiting an old friend, but one who is a great cook and loves to share her secrets. I own every one of Tessa’s books and love to read them, gaze at the stunning photos, and simply get inspired to head into my own kitchen. This latest book of hers is my favorite so far. It shares stories of her life in Tuscany as well as many recipes she has collected from the women who surround her. World Nutella Day! February 5th! 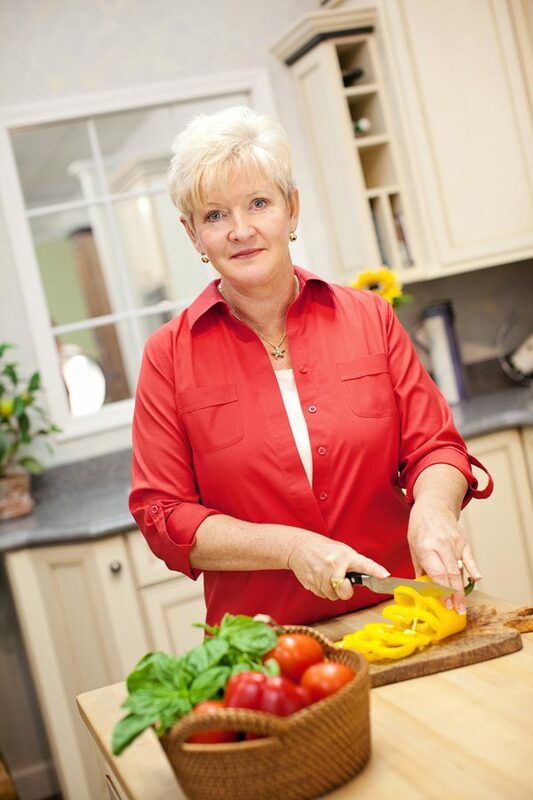 From Amazon.com – No one does beautiful cookbooks like Tessa Kiros, and her track record speaks for itself. In Recipes for an Italian Life, much-loved author Tessa Kiros celebrates the heritage of the country she has chosen to call home. This whimsically feminine book is a tribute to the women in our lives–mothers, mothers-in-law, grandmothers–and the important lessons we learn from them. With accessible, delicious recipes ranging from robust family dishes to quirky cakes and old-fashioned sauces and preserves, this book is a precious heirloom for today. The chapters are based on rooms and items in the home, such as the bread oven; vegetable patch; snack box; pasta pot; meat, fish, and chicken in the dining room; and the ice box. 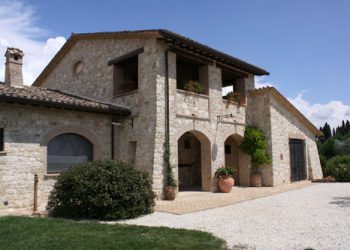 Some of the recipes include: Basil Liqueur, Sweet Pizza, Artichoke and Herb Soup, Potato and Truffle Purses, Roast Rabbit with Grapes, Chickpeas with Prawns, Marmalade Cake, and Cappuccino Ice Cream. Some of my recipes to use with Nutella! Andrea, please contact me me by midnight May 27th with your shipping information. Congratulations!! We were lucky enough to live in Bella Italia for several years, so my sons have been raised on Nutella. They eat it every day! We would get creative with a three pound tub and eat it breakfast, lunch and dinner. Fun! I have followed you on Twitter for a long time, still do! I have been following you on FB for a while now. Just “Liked” Wholesale Italian Foods on FB. I’d make a giant batch of Nutella filled chocolate cupcakes with Nutella buttercream frosting!! I “liked” Wholesale Italian Food on Facebook! I follow you on FB I love nutella , my favorite is on rice cakes.. taste like a decadent pastry. i would LOVE to have your cookbook.. I follow you on FB already …. and my entire family LOVES your recipes! I am now following Wholesale Italian Food! I love pretzels and Nutella. My kids would go nuts over it – they are constantly sneaking spoonfuls of the yummy chocolate goodness! One of the first times I visited Italy I bought an enormous tub of Nutella for my daughter. Big mistake I had to carry it everywhere we went and transport it home but she loved it. Love this site. I “liked” Wholesale Italian Food on Facebook and have followed you on Facebook for some time! I follow you on FB. 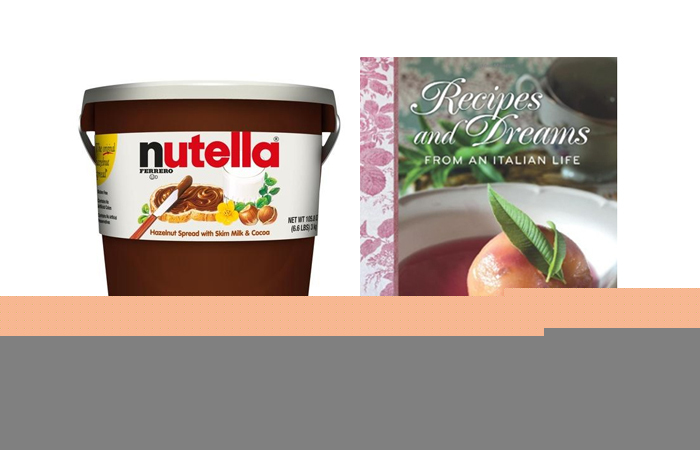 I would love to win this cookbook and the Nutella. Right now I am drinking hazelnut flavored coffee. My favorite! I already follow you on social media. I’m a HUGE fan of Nutella! I put it on everything, but my favorite is in banana crepes. If I had this big tub of Nutella, I’d use it to raffle for Wounded Veterans groups. I follow you on FB. My kids grew up on Nutella. Back then, we could only find it in specialty shops in Little Italy. 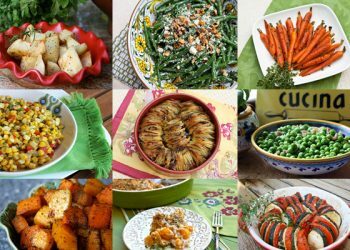 Your blog and recipes are a constant source for recipes for all my gatherings. Grazie! 1. Use it as a filling for homemade doughnuts. 2. Develop a cheesecake recipe for it. 3. 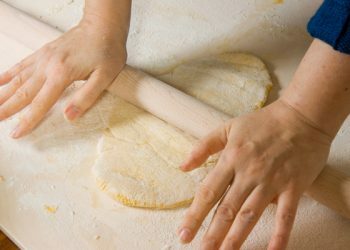 Use it to make sandwich cookie with my husbands homemade amaretti cookies. 4. Use as a base for a cake frosting. I’ve liked everything. . . but twitter (I don’t tweet). Hi Deborah, only follow you on email, do not do twitter or facebook, so how can I take part in the drawing? I love nutella for so many reasons. It’s convenient to have in the house for so many cooking and baking projects. I make a lot of treats for the sports events my grandchildren participate in and it would be handy for the bake sales etc. You already are by posting this message! I LOVE Nutella! The first time I had Nutella was in a monastery B&B in Tuscany. Wonderful! One of my favorite ways to eat Nutella is on a flaky croissant with a cup of coffee… just like in Tuscany! I would love to use it to make some delicious dessert crepes, as well spread for toast. I believe this would last us a loooong time. Also excited about the cookbook! I am now following Wholesale Italian Food on Facebook. My grandchildren love Nutella……have a Nutella party with them. I liked Wholesale Italian Food on facebook. My famuky adores Nutella..we go through it like water. Lately, we have been making late a night snack of ready to bake crescent rolls with Nutella spread in the middle before we bake. Talk about an incredible treat! Top with a little powdered sugar! I am afraid that I am old school, have not started Twitter or Facebook, but I do enjoy the site and emails and the use the recipes constantly. Love love love Nutella! I would use it as much as possible from toast in the morning to ice cream for dinner dessert! My daughter just got back from college. The first thing we did, was go out shopping for 2 jars of Nutella. At night, we had a pic nic in bed, watching a movie, catching up with life and…for dessert: each of us dig into our jars of Nutella. We love it! If I win the tub, I would send it to her,ho have over her school year and I would keep the book ;). Now I’m following you on Facebook, Twitter and Wholesale Italian Food on Facebook. Great site by the way. 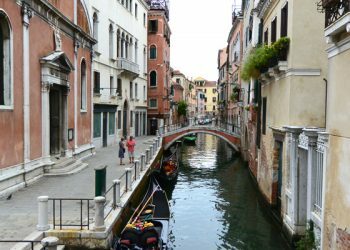 Enjoy Italy and the markets. I remember the piles of artichokes and juicy pomodorini at the markets…delish! I personally do not like Nutella, but my wife goes STARK RAVING MAD for it! I’m entering for my wife’s enjoyment of that and for me to get another recipe book. 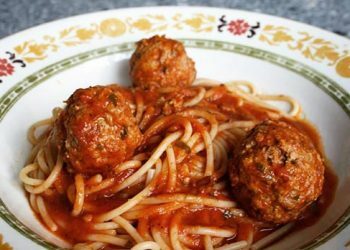 My first recipe from this site was a puttanesca, which has become my absolute favorite comfort food. I look forward to testing others! I “liked” Wholesale Italian Food on Facebook. Nutella Contest…how fabulous!!! You have done it again Deborah…I love your site and consult it daily for ideas and all of your wonderful recipes…you go girl!! Ciao…. I add Nutella to my famous brownie recipe and all my friends say “What makes these brownies so moist”? I am going to dive into that giant tub of goodness when I win this contest. My mom (84 years young!) turned me onto Nutella last year. (I know, I’m late in the game.) She loves this product, so I would definitely share with her and the rest of the family ~ essentially “spreading” around all that goodness!! We may even have a cookoff to see who can be the most creative. Hopefully, your new favorite cookbook has recipes using Nutella to help us out. Thanks for this generous offer! I have not tried Nutella, but with that much of it, I would experiment a lot. I think I would first try to incorporate it into a cheesecake, then something with bacon. There’s nothing “betta than Nutella”. I spread it on crespelle, put a scoop of gelato, roll it up, sprinkle with powdered sugar, enjoy! I have also made your fruit jam tart but instead of filling with fruit I used Nutella. Every morning for breakfast, toasts and on english muffins. I have been following you on FB for a long time and now on Twitter. Also liked Wholesale Italian Food on FB. I have always loved Nutella spread on Italian bread when i was little. I made Nutella stuffed chocolate chip cookies and they were awesome! Nutella is a daily ritual for our family that uses it on banannas or as a simple spoon ladened indulgence. 3 kilos would last us about three months. Our daughter is a pastry chief and she makes a wonderful nutella sandwich macaroon. I would eat it a little at a time until there is nothing left. A teaspoon a day would be good! I have been a follower of yours for 25 years! 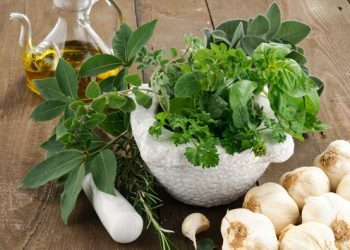 My ONLY Italian recipe resource! Would love to eat Nutella and browse through the wonderful cookbook and add to ,y Italian recipe repertoire!! I also follow you in FB ! I LOVE Nutella. It is one my most favorite foods in the world. I love to have it on toast or as a sandwich or just by the spoonful. I bought a yonana machine the other day and would love to try some Nutella mixed in with a delicious and creamy banana dessert. If I won the jar of Nutella, I would hide it and not share it. ha! I am following you on FB, Twitter, and I liked the Wholesale Italian Food on FB. Oh, I hope I win! I hope I win! I hope I win! Would love to have your cookbook! Your recipes are “fantabulous.” And Nutella is just the BEST! I bet I could make up a bunch of recipes using it… I’m thinking…hmmm, a graham cracker crust, nutella spread thickly on the bottom, ice-creamy yonana bananas on top, sprinkled with toasted walnuts or hazelnuts… yummy — a great summer pie! 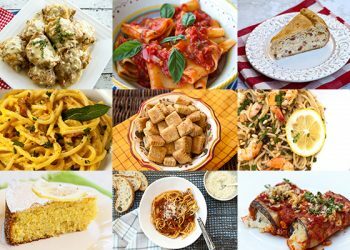 I love your blog posts about Italy and your cooking adventures and creations! Nutella is a favorite around my home. Our favorite combination is on toast with sliced fruit. I just started following wholesale Italian on FB and look forward to seeing some of their posts. I’ve been following you for a while now! Love your page! We used Nutella last weekend to make ‘smores by the fire, instead of plain chocolate….YUM! What donuts are to Homer Simpson, Nutella is to me. Deborah, I follow you on Twitter. Deborah, I follow you on Facebook. I am following Wholesale Italian Food on Facebook. I am new to your site…but it is now the first one that I check each morning when I sign on. My niece, who was living in Frankfort, Germany at the time, turned me on to Nutella. I was working in Amsterdam and would take the train to visit her and her family, and one weekend she brought out this funny-looking tub of “stuff” and told me that I had to try it on my toast. What a revelation! Now my kitchen always has a jar (or two) of Nutella in the cupboard. If I win, believe me, the first person I’ll call with be Kris; she will be thrilled, especially when I tell her that I’m sharing the tub of Nutella with her (she and her family now live in Colorado too). What a great way to enjoy breakfast. Put this on a piece of whole wheat toast for breakfast on the run. This is a great spread.Our family loves it on everything we can put it on Bread, ice cream, cookies. Love Nutella. This huge jar would be amazing and last quite a while! Went over to Facebook and am now following you. Love your recipes!! Now Following wholesale italian food. Going to have to check them out!! Love Nutella! Liked the new site on Facebook! And would love to win the awesome sounding cookbook! I’ve posted my comments on Facebook. My sn would hoard the whole tub for himself. I would enjoy making different recipies using Nutella. My favorite is a bundt cake with Nutella filling. YUM!! I LOVE to use Nutella in my smoothies! It’s super nutritous and it satisfies my chocolate cravings. I follow you on Twitter and Facebook as well Wholesale Italian Foods on Facebook! I absolutely LOVE Nutella! If I won, I would make endless desserts, like Nutella cheesecake, Nutella cupcakes and brownies, and Nutella crepes with strawberries and bananas! Crepes are my favorite way to use Nutella. I am following you on Facebook and twitter, and I am following wholesale Italian food on Facebook. Following your Tweets and Wholesale Italian Foods. I have missed having my own little village grocer at my disposal every day. The weekly mercati are just a dream by now, specially the Camisano Mercato. It was like going to Disneyland as a kid. Che meraviglia! Now I dream of this great Nutella contest. Hope I win. I love Nutella on a croissant, a yummy breakfast treat! With that much though i would definitely explore recipes and share with my non enlightened friends. 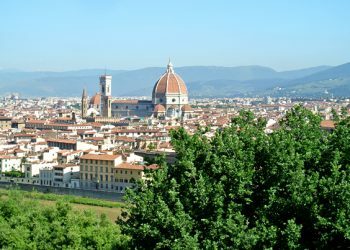 by the way having grown up in a home with strong Tuscan ties (my mother is from Pisa) your site is an awesome nostalgic read as well as a great place to find authentic recipes! well done! Nutella is a take anywhere, eat anywhere, love everywhere food. My favorite right now is with breadsticks, my grandsons can eat it anytime! Am following you on Twitter, Facebook and am following Wholesale Italian Food on Facebook – Ciao! We sure love Nutella and I love your site and recipes so much!! It’s always a treat to get your email newsletter in my inbox! I have a family of eight and I know even a tub that large of a size of Nutella would go quickly!! We love it on everything, even just a spoon!! Thank you! I love hazelnuts and chocolate so Nutella is a dream spread. A neighbor made chocolate cookies sprinkled with sea salt and a thumbprint depression filled with Nutella. Heaven! It’s good on toast, on crackers, on fruit, and on fingers too! Thank you! I’ve been following IFF for years and now also on Facebook. I eagerly look forward to every delightful story, photo and recipe. So do many friends thanks to me. We LOVE Nutella. I grew up on it during our family summers in Italy, and am continuing the tradition for my son! I am so entering this contest for my two children as well as all my nieces and nephews who absolutely devour it!! Wow would they be ecstatic to see 3 kg of Nutella!!! If I win this tub of Nutella I certainly wouldn’t have to buy any more for a while! I could bathe in it! I love Nutella on anything! It’s so delicious on toast, in a dessert, or even by itself straight out of the jar. Love Nutellaa!!! I would spread it on a big thick cheesecake then put some whip cream and toasted hazzlenuts on the top. One of my favorite ways to eat it is on a Ritz cracker the salty sweet is delicious. I always travel with a jar! I like you on Facebook and the Wholesale Itaian food. I don’t do twitter but I would tweet about you if I did! Love your recipes makes me feel like I am eating in Italy! I would make Nutella strawberry bruschetta, Nutella cupcakes, Nutella crispy brown rice bars and hoard the rest. Followign you on twitter, fb & very happy to find (and like) Wholesale Italian Food. So many ways to use Nutella so little Nutella! Aside from just eating it out of the jar with a spoon I love it warmed and poured on ice cream, as an alternate to peanut butter in cookies and sweet breads and muffins. It also makes a great filling in between layer cakes. And, love it between two slices of hearty bread with slices of strawberries nd bananas. Yum! I first had Nutella at my daughter’s. I would share my winnings with her and use some of the rest of it making the wonderful recipes you have posted. Following you on Twitter, and just liked you both on Facebook. What would I do with that much Nutella? Resisting the temptation to bathe in it or dive in with a spoon, I would use it for cheesecakes and cupcakes galore. Everyone I know would eventually be converted to Nutella! Following Wholesale Italian Food too! I haven’t used Nutella that often but would love to include it more in my baking. Chocolate and hazelnuts are two of my favorite things! I’m slightly addicted to Nutella!! 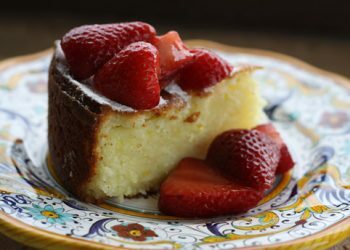 I love it with fresh strawberries, but it’s great in baked goods too! That tub of Nutella would definately find many uses in my kitchen! I follow you on Facebook Deborah. i love nutella! as a 9 month pregnant lady, it’s become a staple over the last months. i now follow you on twitter, and liked your page and wholesale italian food’s pages on FB. I would give it to my granddaughter, maybe she would share with her mother. I’d make a chocolate cake with a nutella frosting. I’d do a Nutella cheesecake. I would love this as I would be force to find creative recipes for it as I spooned it away! Nutella is awesome! Great on everything from bread to bananas! Begin Italian you always had a jar of Nutella in the house. I love to use Nutellla for crepes with strawberries, on gram cracker with cool whip and then freeze for an ice cream sandwich substitute and it is especially good in smoothies, there are so many good ways to use it and I’m sure I would find new ways. My 4 yr old LOVES Nutella! Every morning she requests “choc o late on toast”. We dip strawberries in it, put it in smoothies.. Our whole family loves it! I am equally excited about the cookbook and trying the Nutella recipes you posted! I adore Nutella. I’ve been fan FB fan of of yours for quite a while now and just liked Wholesale Italian Food. If I were to win, I’d make all kinds of yummy things, Nutella truffles, pannini, ice cream, as well as a spoonful direct from the jar! We love your recipe for Nutella pound cake, my friends always enjoy it with a steamy cup of espresso. Have not tried your recipe for the Crostata yet so that is next!! We used to dip our Italian style butter cookies in Nutella when we were kids….yum! The tub of Nutella will provide many opportunities for experimenting. Oh, the possibilities! I’m up for the challenge. Nutella is truly decadent and sinfully delicious. Crepes, cakes, and cookies would all be consumed with enthusiasm in my household, but my favorite way would consist of using one utensil – a spoon. I love Nutella on Pizzelles for breakfast. At the age of 9 on my inaugural trip to Italy to visit my grandparents, my first purchase (once I learned how to use lira )was little unit dose packages of Nutella. I made sandwiches with home made bread that was chewy and yeasty. Every time I have the Italian version it takes me back to Mondragone and how proud my grandmother was that I could shop on my own! I have two yummy drink recipes I would use the Nutella for: A Coconut Nutella Latte and a Nutella Irish Cream Milkshake. My kids like Nutella Hot Chocolate, too! 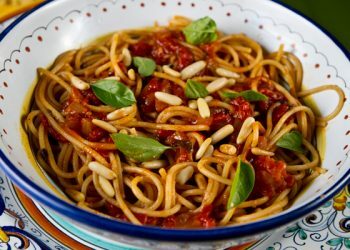 I am now following Wholesale Italian Food on Facebook, looks like a great site. I love to make a grilled sandwich with Nutella and French toast made of Nutella sandwiches is even more delicious! I liked you on Facebook, and glad to have found you! I love Nutella on my toast for breakfast, and with a big tub, I would get to share it with my family! Nutella on toast, crackers, pretzels, anythings elevates it to a new level. I do want to try your crostada recipe & winning this jar of Nutella would enable me to make enough for the entire neighborhood! Also collect cookbooks, so this would be a nice addition for my collection. Thank you for your newsletters & contests. 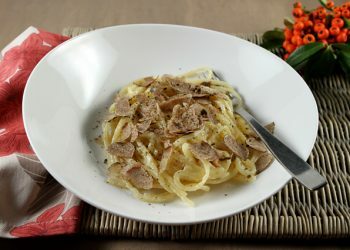 Following wholesale Italian food on facebook! I love nutella because….well, it’s amazing! I could spread Nutella on a flip flop and eat it. I would try all of the nutella recipes I have found in the past few months and share them with friends and family. I hope I win! my grandsons love this treat. they eat it by the spoonful. My love for Nutella has passed on to my son and now to his 3 sons (and a 4th on the way). Nutella is great in many recipes, but there is nothing better then digging into the jar with a tablespoon and enjoying it as is….what a wonderful picure it would be with my grandsons digging into this huge jar of Nutella!!! We have loved Nutella ever since living in Germany many years ago. It is our son’s absolute favorite. I would bake everyday with this tub of nutella, I love nutella on homemade bread (your recipe is divine) I recently made cookies with nutella and we love it on croissants as well ! I just liked you on Facebook and posted on your line, for a chance at the contest! Love your pictures! Oh, Nutella, let me count the ways!! Nutella Flan, Nutella Cake, Nutella Truffles, Nutella by the spoon, etc., etc., etc. I’m following Italian Food Forever and Wholesale Italian Food on Facebook. Wow never thought of that…Nutella Flan!! Wow now that sounds really delizioso!! I will have to experiment that!! I am trying to come up with some type of biscotti…we’ll see what happens?!?!?! I will be making a lot of Brioche Bread stuffed with Nutella … doesn’t get anybetter. My husband whose name is Luigi loves Nutella. He is from Campora San Giovanni, a small town in Cosenza Italy but we live in Ontario, Canada. He likes it best on toast. He is a pretty basic guy. I love Nutella! Love to use it in my Nutella Empanaditas, swirl it in my home made ricotta ice cream, eat it spread on a piece of toast, or even a corn Vita Muffin Top. Nutella and peanut butter…..YUM! I like Wholesome Italian Food on Facebook. Well I would share the tub with my son and his friends, of course! I want to try a cookie recipe with nutella, a sort of oreo cookie, with opposite colors. Am following you on Twitter. Also, I really like your daughters blog, and sent a link to my daughter, who is studying obesity at UF.